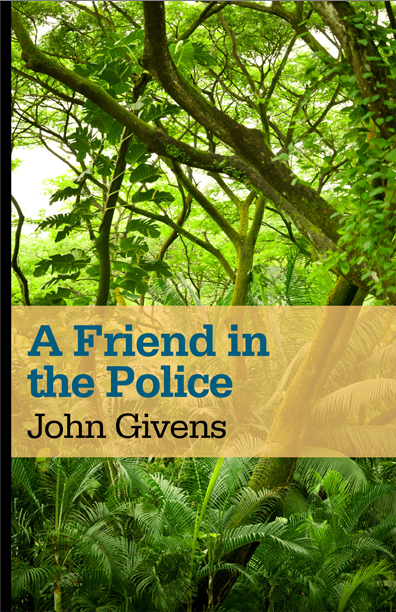 California native John Givens talks agents, advances and publishing massacres. I started my first novel at the Iowa Writers’ Workshop… One of the requirements to graduate from the Master of Fine Arts programme was to produce a novella-length manuscript. After graduating, I worked on it for another year or two while teaching in Chinatown in San Francisco, and it became Sons of the Pioneers. One of the teachers at Iowa recommended me to his agent… in New York, Tim Seldes of Russell & Volkening. He saw part of my novel and said to send it to him when I had it totally finished and he would decide then if he would represent me. When I did that, he said ‘Fine, I’ll take you on’. I didn’t realise then how hard it was get an agent. Looking back at it now, I realise how lucky I was. He placed the book with Harcourt Brace Jovanovich (HBJ). I didn’t get that much of an advance… but I was happy with it. You need to keep a day job – that’s why so many writers in the US teach. It takes the pressure off if you know you’ve got an income. I was teaching in California and so didn’t feel as stressed to get the manuscript done in order to get paid. I got a one-book contract… and HBJ had first refusal on whatever book I wrote next. It was a pretty standard contract. The next novel took a couple of years, and they published it too. The whole editorial staff was fired one Monday morning… It was a massacre. The guy who owned the publishers was a capricious person and fired the entire staff just as my second book was heading out the door. It killed sales. There was no distribution. My book had been printed and was in a warehouse. Copies had been sent out for pre-publicity and it had received great reviews in all the major journals including the New York Times, but there were no books in the stores. The lack of sales for my second book… made my third novel, Living Alone, a harder sale to book stores, even though everyone agreed it wasn’t my fault. Living Alone wasn’t widely distributed, and despite very good reviews, didn’t sell well. With my fourth novel I went through a lot of rejection… I got so worried about making it popular that I wrote too much towards what I thought would be a big popular novel. I was trying to read the audience and the marketplace. I might have been smarter just to keep my nose down and write as well as I could. The most important thing is… to make the quality of the text as good as possible, not just the syntax but also the strategy of it. The narrative voice has to be compelling and the dramatic arc of the story has to be done perfectly. There was a time when editors would help rewrite it, but not now. The quality of the manuscript is the writer’s responsibility. It’s tougher now… because more people are writing, but fewer people are reading. There are fewer book stores and fewer opportunities for books to be discovered by serendipity. Look for an agent if you want to get published… With a commercial publisher, where there’s money involved, you’ve got to have an agent 99 per cent of the time. An agent is going to judge the novel on whether or not they can sell it. They’re also looking at the author as a kind of platform, so social media, blogging and things like that are really worth doing. There’s a lot less wining and dining by publishers now… Before you might have been taken to a really nice restaurant. Now you’re trading a four-star French restaurant for a nice bistro lunch, but writers still get taken out. Socialising is all part of it. John Givens lives in Howth and runs historical fiction workshops in Dublin city centre. A revised e-book edition of his second novel, A Friend in the Police, has been published by Concord ePress and is available on Amazon.